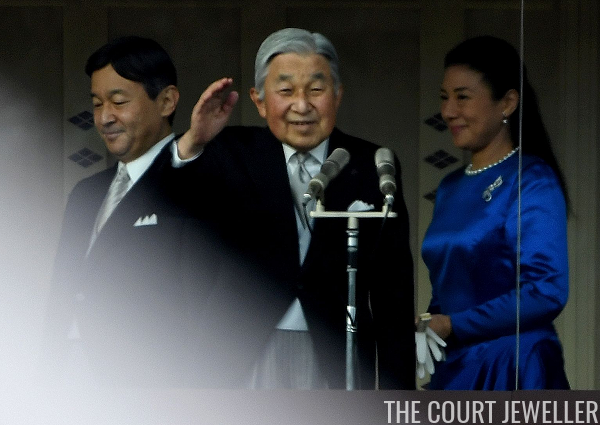 The New Year celebrations continued in Tokyo on Monday with the annual speech from the emperor. 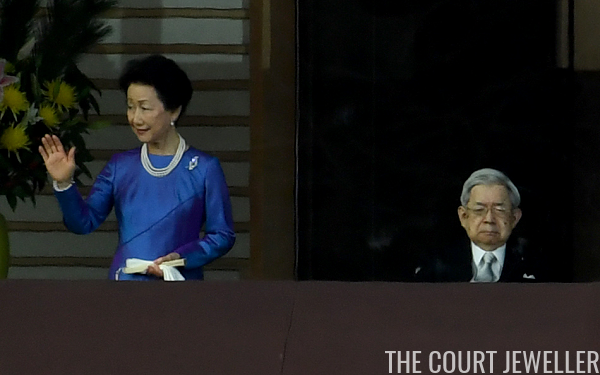 The family appeared on the balcony, and we got to see some of the elegant daytime jewels from the Japanese imperial vaults. 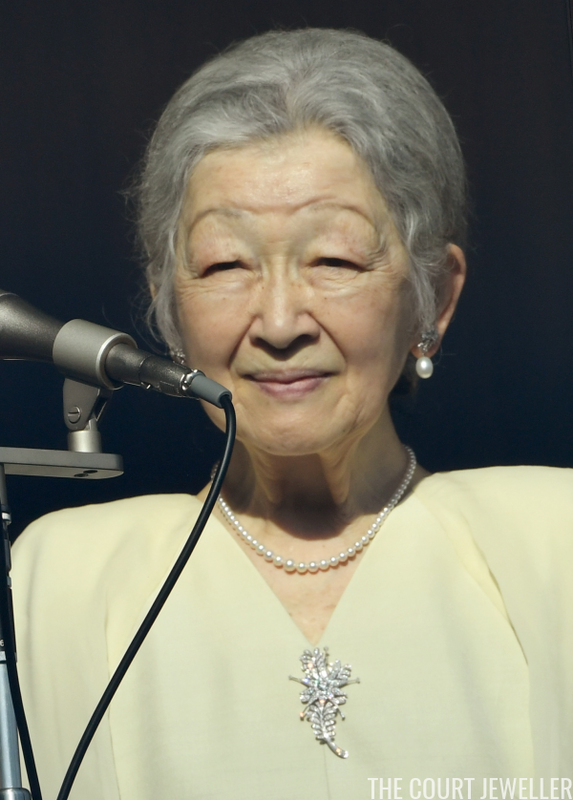 Empress Michiko wore diamond and pearl earrings, a pearl necklace, and a really interesting diamond brooch, which features leaf and star designs. 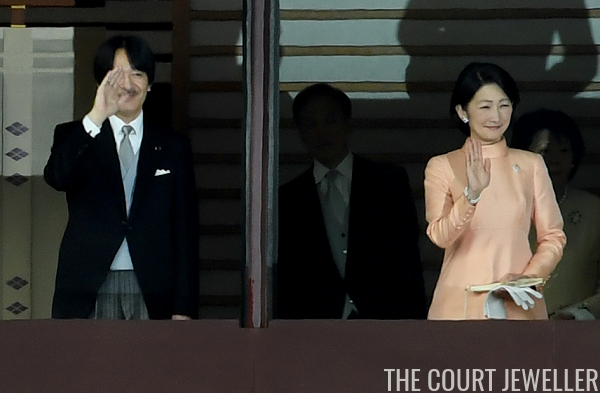 While Crown Princess Masako doesn't attend the palace reception, she does appear on the balcony. Here's a look at her pearls and brooch combo. And here's one more angle on her outfit and jewelry. Love the color on her! 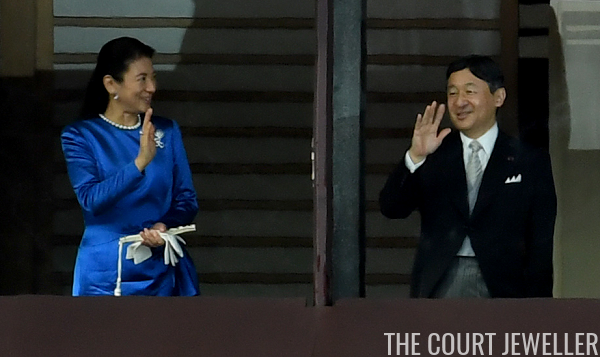 The Prince and Princess Akishino were there, as usual. Kiko's outfit featured a high neckline that hid any necklaces, but she was wearing a brooch, earrings, and a bracelet. 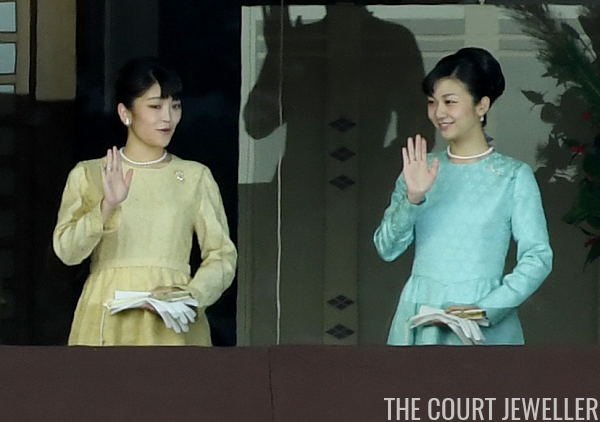 Their two daughters, Princesses Mako and Kako, were there in their daytime jewelry uniforms, too. 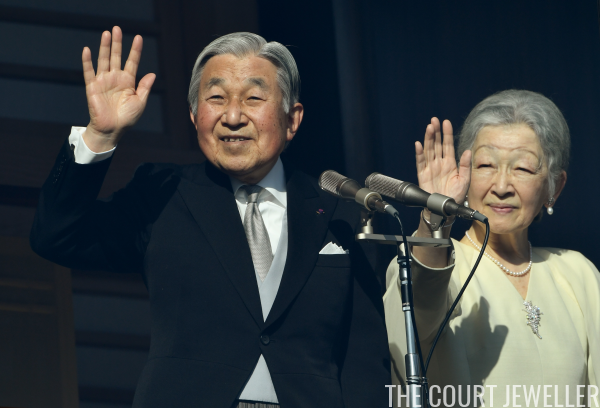 And finally, one more couple from the imperial family was in attendance: the Prince and Princess Hitachi, the emperor's brother and sister-in-law. Hanako went bold with her jewelry and clothing, wearing the same bright blue color as Masako. She also amped up her pearl necklace, wearing multiple strands instead of just one.